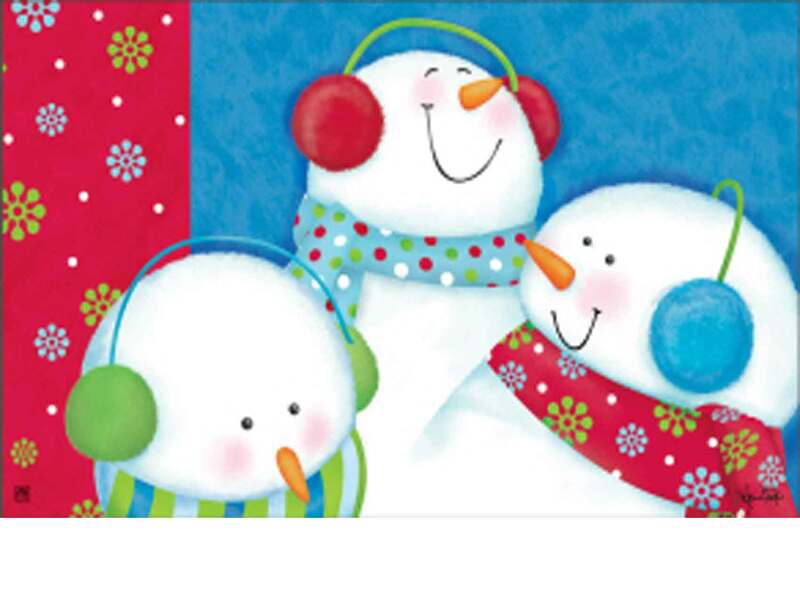 Are you getting your home ready for the winter season? 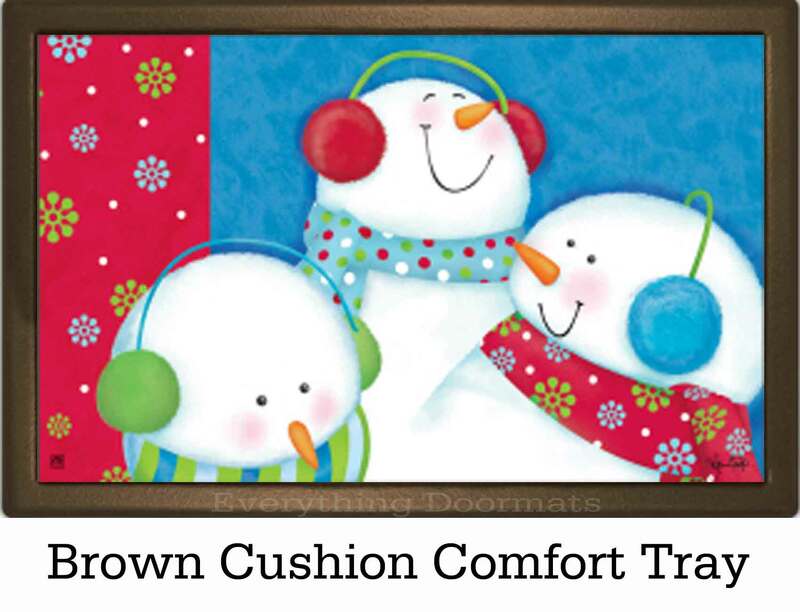 Do you love snowmen and love decorating with them? Then spruce up your front door & greet guests in style with this stunning Ready for Snow MatMates insert doormat. This insert doormat is made with a dye inject polyester top surface so it is fade and stain resistant. 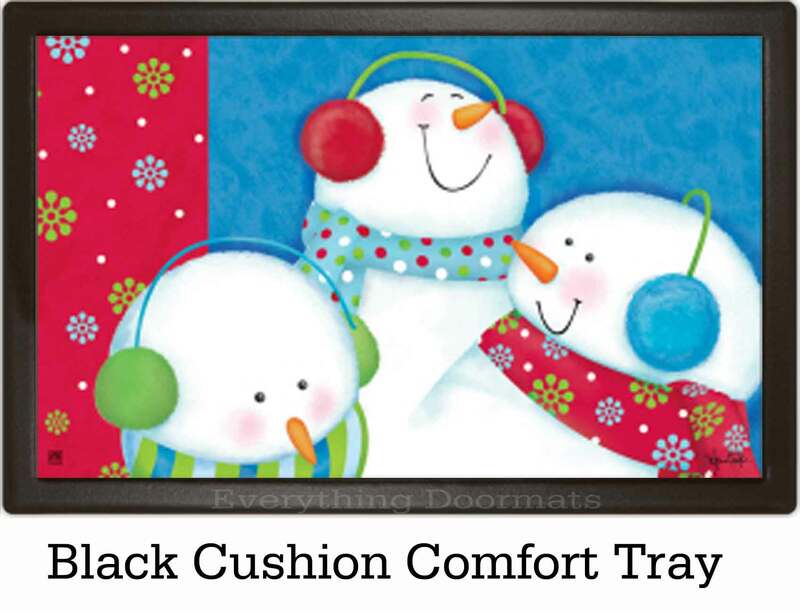 In addition it has a recycled rubber back that makes it slip resistant on most surfaces. The gorgeous coloring & artistic image fits in just about any environment whether you choose to use it inside your home or outside it. It is not hard to clean your mat should it get dirty, you can check out our Cleaning & Care Page for details. 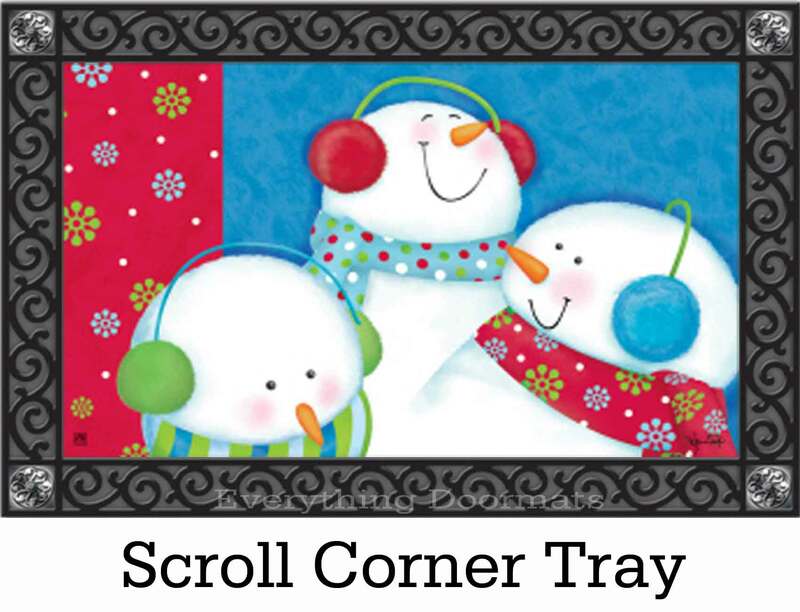 This Ready for Snow MatMates snowman insert doormat is 18" x 30" x 3/16" when used as a stand-alone mat. When paired with the outdoor tray it is 24" x 36" x 5/16" and when paired with the indoor tray 21" x 33" x 7/16".